year-old nonprofit organization, I am honored to recommend Larkin Bond, a Senior Sociology Major at UC Berkeley, for a 2019 Gardner Fellowship Grant. Larkin was 22 years old, and a full-time Sociology Major at College of Marin (COM), when we first met. She was working over 30 hours weekly at Starbucks where her shift began at 4:30 in the morning. Larkin was totally self-supporting and managing her entire life on her own, in addition to caring for her parents who had major health and financial issues. At COM, Larkin was a member of ALPHA SIGMA GAMMA (ASG) HONOR SOCIETY where she held a leading role as the Community Service Coordinator. In this role, she brought together all the clubs at COM to work together on behalf of students who were struggling with stress, mental health, lack of housing, and/or were feeling left out, isolated or different. These clubs included the Veterans Club, COM’s student government ASCOM, and the African-American club Umoja. not available to them. Larkin’s actions clearly show how committed she is to educating others about depression, anxiety, suicide, eating disorders and PTSD, all of which she has had personal experience with. Larkin volunteers for Beyond Hunger 2 full days a month (approx. 12 hours), to speak health classes and wellness center high school and college students about eating disorders which she has personally struggled with. Larkin volunteers 4 hours each week to provide the listening ear, comfort and support for youth, and others of all ages, struggling with suicide and grief issues. In 2015, Larkin founded Sister Cycles, her personal outreach project, for homeless girls and young women that were in dire need of feminine hygiene products such as pads, tampons and underwear that were too expensive for them to buy for themselves. Since then, she has been collecting and distributing these feminine hygiene products to nonprofits, shelters and those in need throughout the Bay Area. Going forward, she plans to expand this project into a nonprofit organization. Since our first meeting 4 years ago, Larkin continues to volunteer for AHO, a 15-year old Marin County nonprofit providing a safety net of comprehensive support for youth at-risk and/or homeless ages 18 to 25. Homeless youth represent 1/3 of the homeless population in Marin. AHO is the only nonprofit helping youth avoid incarceration and chronic homelessness to achieve their goals as contributing adults and future leaders. Prior to entering UC Berkeley, Larkin volunteered (6 hours a week) as the Youth Team Leader for the AHO Youth Team which is comprised of youth AHO has helped and their peers, who choose to “give back” by creating youth-led projects that bring awareness to the issue of youth homelessness. 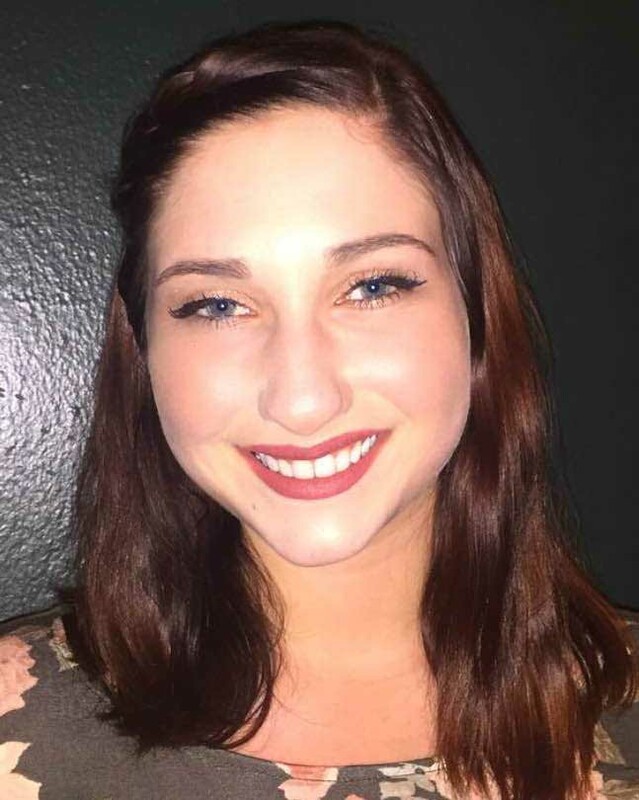 As Team Leader, she guided her peers to plan and implement 2 Youth Connect events at College of Marin where the key resources of housing, dentists, employers, counselors, and other professionals were brought together in one location for homeless youth. As the team Leader, Larkin recruited dozens of professionals to offer their expertise pro bono to serve youth both during, and following, the Youth Connect events, while leading the recruiting and training of 120 volunteers. She is adept at working independently, or with groups, to achieve the social reforms and humanitarian goals she is devoted to addressing. Independent Journal newspaper, she has been educating the community about this issue. In 2016, Larkin collaborated with me on a Jewish Teen Foundation (JTF) $10,000 Homeless Youth Housing Fund grant proposal and presentation to the JTF Youth Council. Larkin’s honest, vulnerable and passionate presentation to the JTF Youth Council was critical in securing that grant. Larkin also took the initiative to spearheaded a fundraiser for AHO that raised $5,000 to our mission. Although Larkin had never produced a fundraising event before, she successfully negotiated securing the venue, recruiting 3 bands to perform and recruited volunteers to help procure auction and raffle items to make the event a success. I have been honored and humbled to work with Larkin over the past four years. She has superior emotional intelligence, caring and courage, with a spirit that connects deeply to the hearts of everyone she meets regardless of their age or circumstance. She has consistently and clearly demonstrated the 21st Century Skills for Success as determined by the US Department of Education and top companies including; initiation, collaboration, communication, creativity, problem solving and critical thinking. Larkin is currently a Senior at UC Berkeley with a 3.959 GPA. She works full time, and continues to come back and support the AHO Youth Team on their projects. She is a spokesperson for AHO in schools and with community and political leaders and an outstanding advocate for the major challenges she has personally struggled with, endured and overcome. Working with Larkin has been a gift and a joy. I could always count on her to follow through, keep her word and stay in communication. Her passion, commitment, persistence and ability to inspire and encourage others, who are struggling like she once was, is beyond compare. I am honored to highly recommend Larkin Bond for the UC Berkeley Gardner Fellowship Grant.